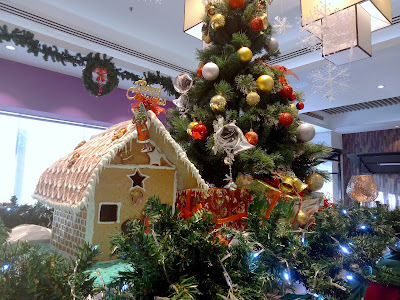 Roselle Coffee House is the all-day dining restaurant in Lexis Suites Penang. Like many sections of the hotel, the dining area is furnished with marble floor and marble walls to present an opulent appearance. 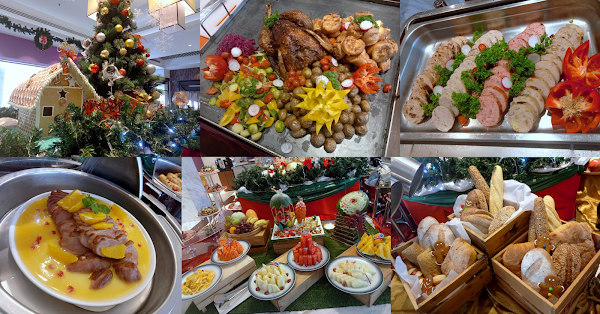 This evening, Lexis Suites is offering a sneak peek of the upcoming Festive Christmas Buffet. 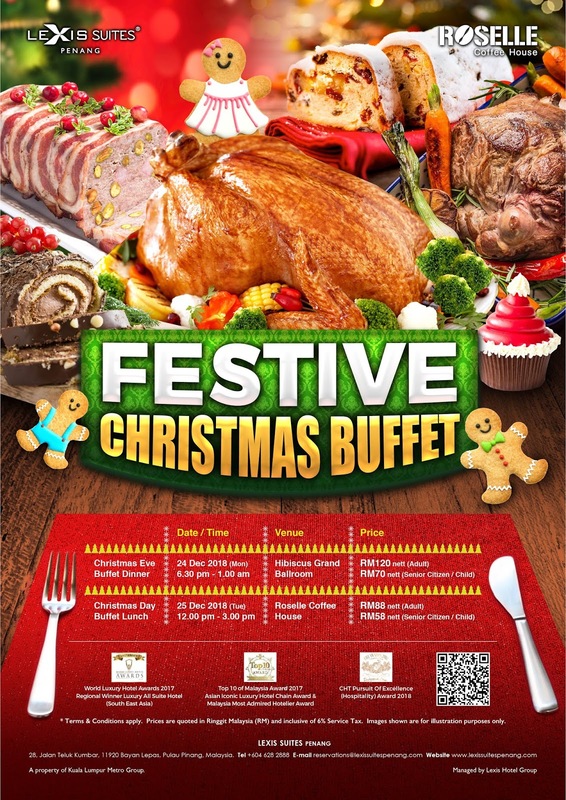 The meal will be held at Hibiscus Grand Ballroom on Christmas Eve, and at Roselle Coffee House on Christmas Day. First and foremost, Roast Turkey is essential in traditional Christmas feasts. 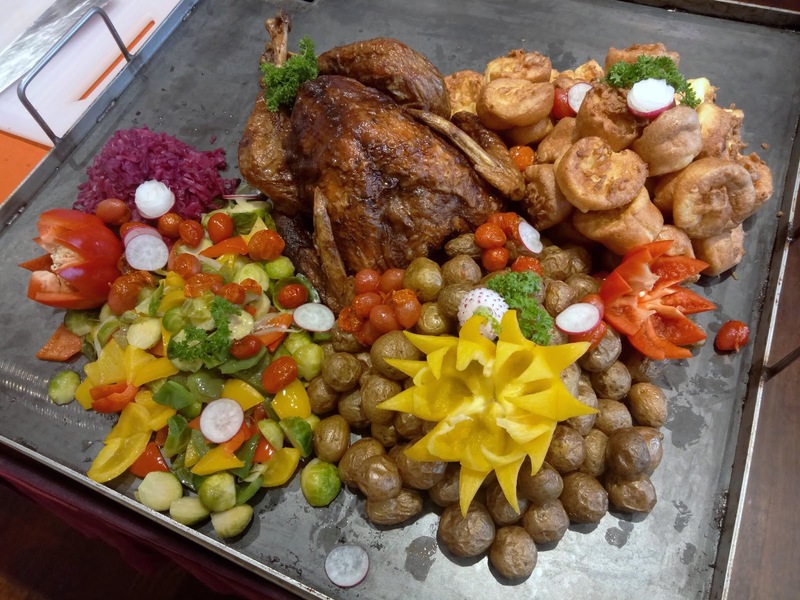 The turkey is served with Yorkshire pudding (which goes well with vanilla ice cream), roasted baby potatoes, sautéed vegetables and rotkraut. As per tradition, turkey condiments are giblet and cranberry sauces. On the actual days, Roast Lamb Leg is available too. 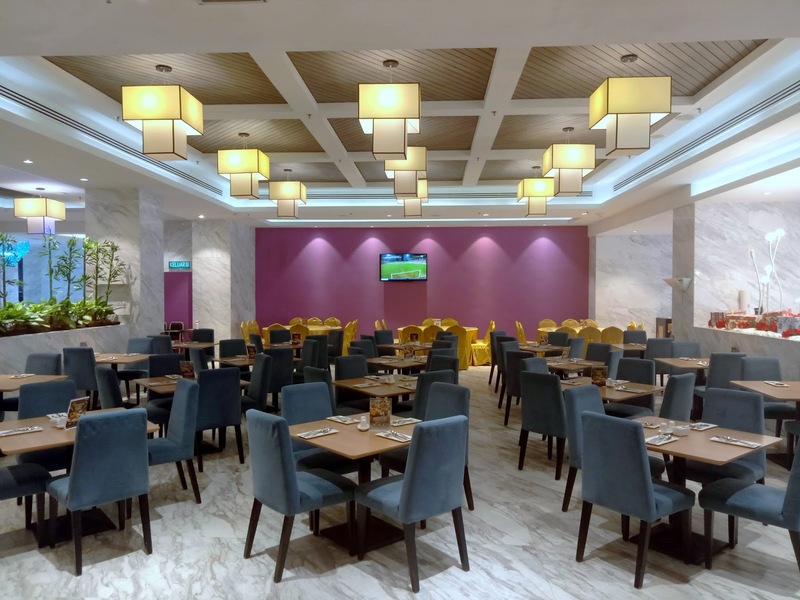 While most restaurants only prepare one or two types of stuffing, Lexis Suites goes an extra mile with four! Stuffing flavors are chestnut & apple, duck & mushroom, turkey & sage and mushroom. Each type is interesting in its own way. They are certainly the highlight this evening. 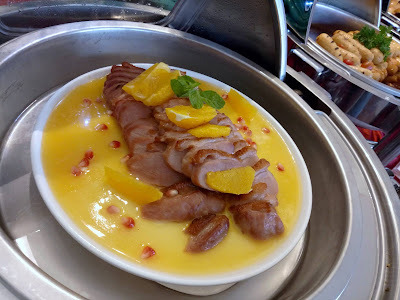 Another delectable delicacy is Pan-Fried Smoked Duck Breast. The dish is garnished with oranges and pomegranates. Also recommended are Grilled Spicy Sausages which come with barbecue gravy. 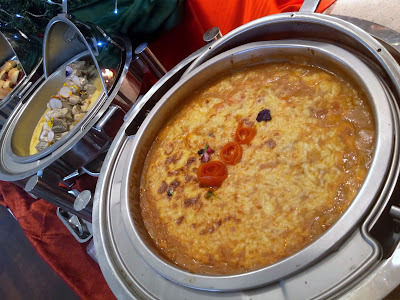 As for seafood, go for the Baked Creamy Seafood Stew. Baked under a cheesy layer of crust is a savory stew of squid, mussels and shrimps. Meanwhile, the Poached Sea Bass is served with fresh dill and saffron butter sauce. It is not easy to cook this dish as the fish's texture is very sensitive to heat. Next, Brussels Sprouts is topped with turkey ham and almond flakes. 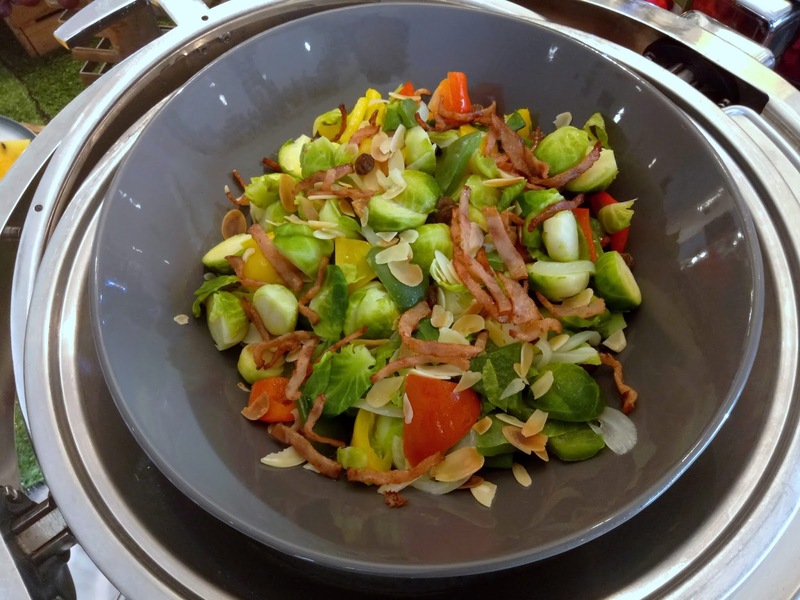 This vegetable dish serves as a counterbalance to the meaty dishes so far. 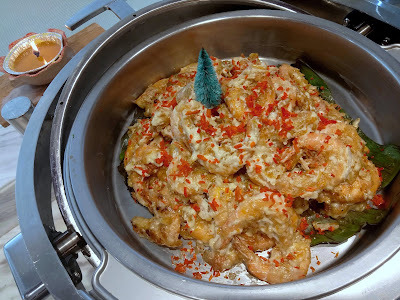 Moving on to Asian dishes, Fragrant Prawns are coated with nutmeg mayonnaise. The honey-sweet taste tantalizes my palate. 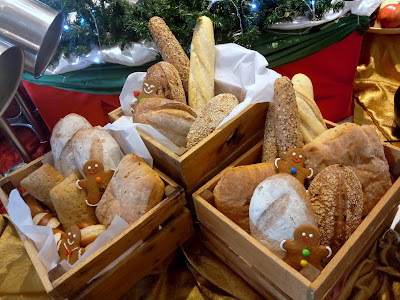 The bread section contains roughly ten different types of artisan bread. Examples are country bread, multigrain bread, baguette, focaccia and bread rolls. In the spirit of Christmas, there are gingerbread men too. Accompanying the breads is a variety of cheeses such as Cheddar, Camembert, Swiss, Edam and Brie. 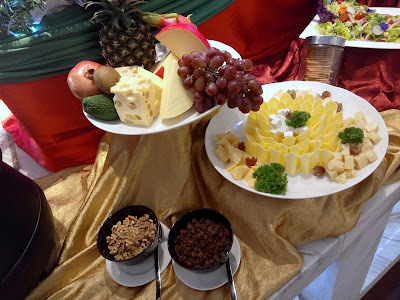 Walnuts, grapes, raisins and crackers are available too. 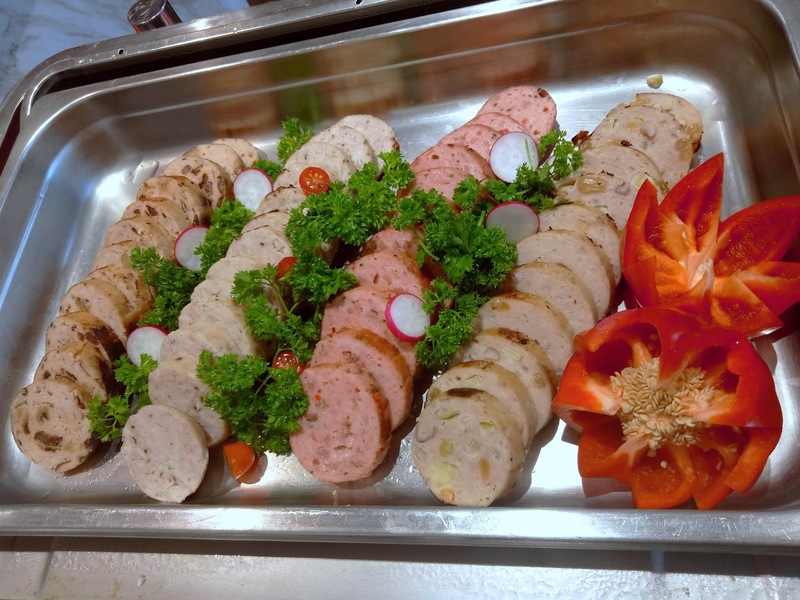 Diners who fancy cold cuts can help themselves with Smoked Salmon, Smoked Duck, Chicken Slices, Salami and Vegetable Terrine. 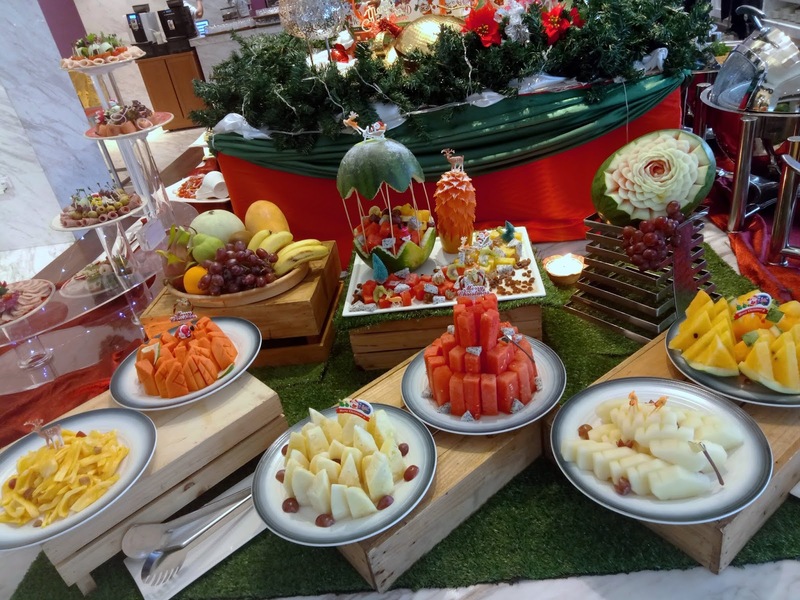 The fruit section presents a centerpiece that is carved in the likeness of a carnival's carousel. Available fruits are jackfruit (nangka), pitaya (dragon fruit), honeydew, papaya and watermelon. 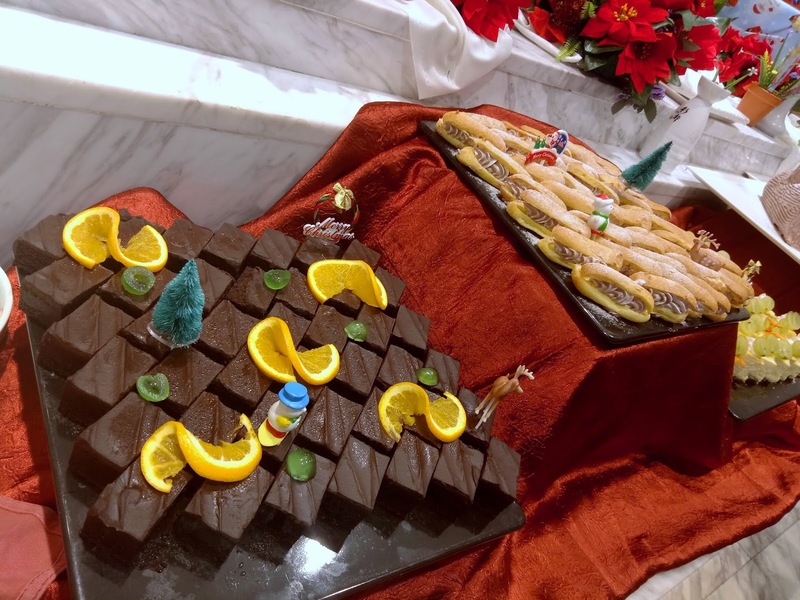 The pastry section presents yuletide treats such as Christmas Yule Log, Stollen and Christmas Cookies. There are also confections like Chocolate Brownies, Cheesecake, Éclairs and Petits Fours. Other treats to delight your sweet tooth are Floating Island, Bread & Butter Pudding, Chocolate Fountain and Ice Cream. 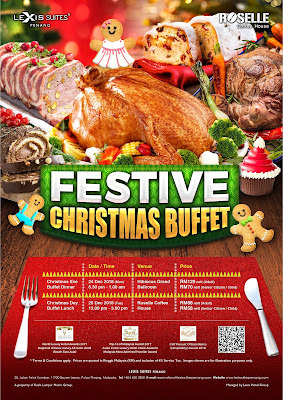 On Christmas Eve, the diners will be entertained by a live band to evoke a festive mood. Lucky draws will be held too. In addition, Santa Claus will also make an appearance to give out candies to well-behaved children. 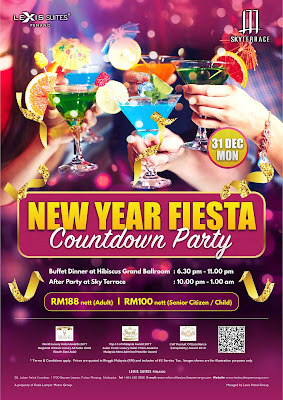 Shortly after Christmas, Lexis Suites is having a New Year Fiesta Countdown Party on New Year's Eve. The buffet dinner will be followed by an after-party at the Sky Terrace. Attendees can expect to be entertained by a live band, magic show and games with prizes.